In 2005, the “Cash Iz Biz” rap group was established by ceo & rap artist “Always Gettin Cash.” Other members of the group are, (rap artist) “K-Floyd”, (producer) “Smokey Haze”, & (dance cheorographer) “Shellz.” Each member is from different regions in Massachusetts, the specific areas are Boston, & Hyannis. 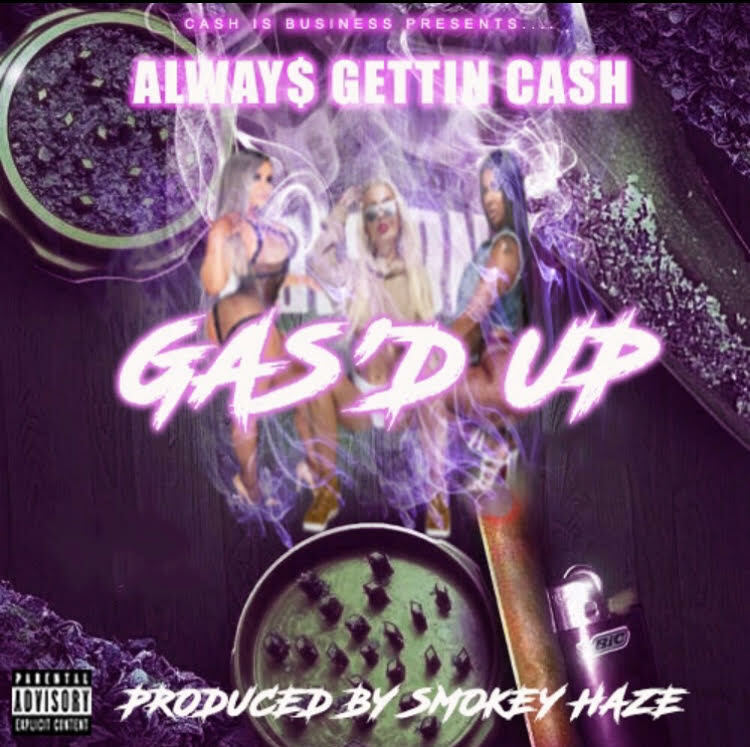 At this time “Cash Iz Biz” rap artist “Always Gettin Cash” gears up to release his follow up project and first solo Ep “Addicted Not Committed.” The Ep is hosted by Dj Scream, & produced by “Smokey Haze & Quick Money.” The project features artist like “Cassidy, Chinx Drugz, Coke Boys, luc Strange, & more.” There are three singles & two music videos released so far off of the project that are on all streaming platforms like YouTube, & Worldstar. The names of the singles out now are “O.D” feat. Cassidy, “Coke is Business” feat. Chinx Drugz, & currently “Gas’d Up.” The music video for the song “Gas’d Up” released this month on Worldstar & has already garnished 125,000 views in a weeks time. The up coming singles are “Money Run, Golden Chains, Bout That action, Body Talk, & Where were u.” Be on the look out for the hottest Mc in 2018 & 2019 coming out of the #508, Always Gettin Cash.